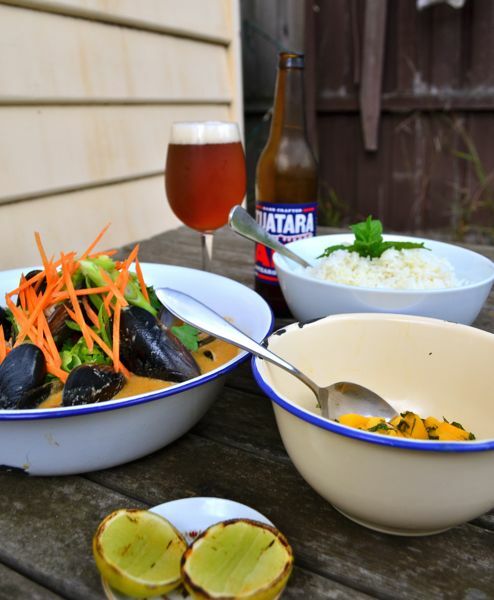 Kris: I was thinking the Tuatara APA would possibly compliment the curry with it’s sweet malt and fruity hop character. It was actually a bit too big for the dish. A lighter style pale ale could work, so would a Pilsner or Lager, maybe a Saison. Regardless of the matching not quite working, I was very impressed with the beer. 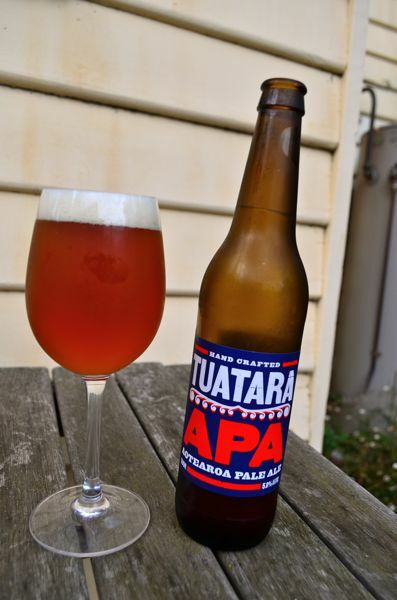 The Tuatara Aotearoa Pale Ale is a big, hoppy Pale Ale with pine and tropical fruit hop aroma. It’s 5.7% ABV is well balanced with it’s sweet malt and hop bitterness. Caroline: This is the best curry Kris has ever made. 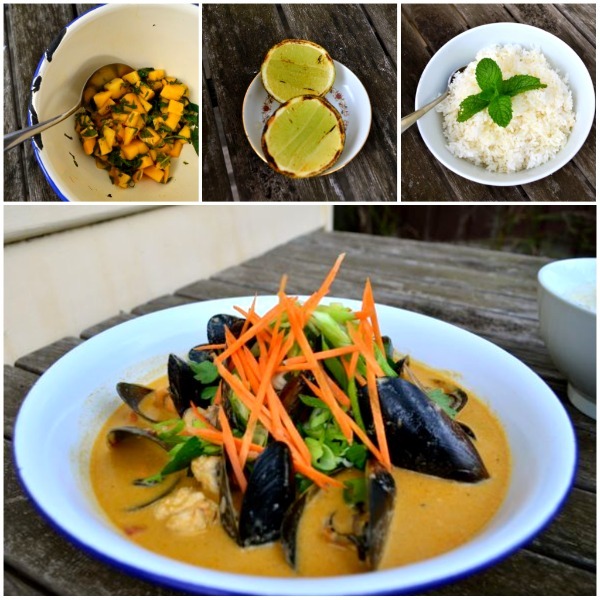 I love coconut based curries, and this one was no exception. 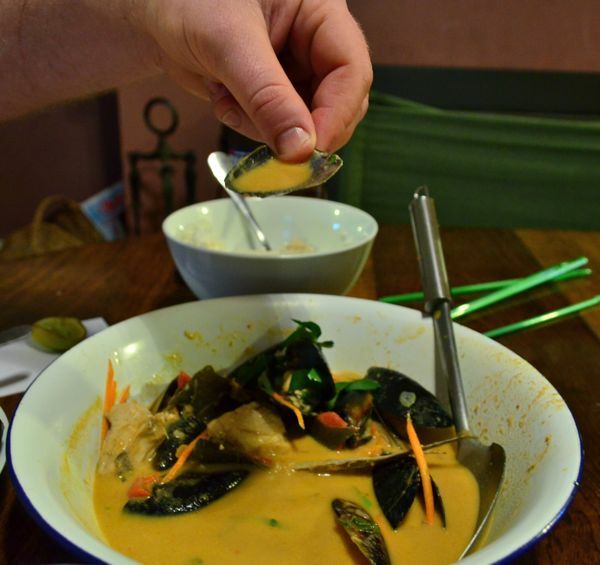 It was creamy, zippy, spicy and hearty; everything was amazing. 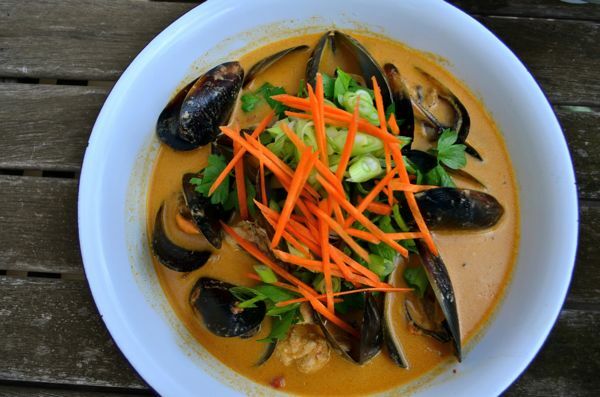 The flathead was tender and sweet and the mussels held their flavor and texture perfectly! I was eating just the sauce on rice when everything else was finished in the end, I couldn’t get enough. The beer was too sweet for this dish, I agree with Kris a simpler crisper lager would have been better. I think the curry needs to be the star in this match. This entry was posted in Beer, Dinner and tagged pale ale, seafood.